During my childhood there was an expression that constantly piqued my curiosity: Sono lontani i tempi in cui Berta filava. Translated this means: “there was a long time from when Bertha used to spin”. I remember that I always wondered “who is Bertha?” and “why did she spin?”. The time when Bertha spun is, therefore, lost time made by desire, dreams and luck. It is another way of saying “in the good old days”. Usually people say this when they want to refer to something good that has been before, but isn’t anymore. This expression is used with a point of irony and underlines a different status from the past. For example, “When I was younger I used to go to sea every day during the summer. I would spend a lot of time snorkeling and fishing. These were the days when Bertha used to spin”. E Berta filava is also the title of a beloved Italian song written by the singer Rino Gaetano. For those of you who don’t know him, he’s famous for his rough voice, his irony, and his tragic death at the age of thirty. His songs are still very popular even though he died in 1981. During each bonfire on the beach, Italian people sing many of his songs, such as Il cielo è sempre più blu, Mio fratello è figlio unico, or Aida etc. Anyway, let’s get back to E Berta filava. The song shows us that the Italian verb filare can mean many different things. In each verse, there is a diverse connotation of it. Repetition becomes almost a riddle because while listening you try guessing what meaning the singer has in mind. The result is an enjoyable and satirical song. Filare: One Verb, Many Different Meanings. In the first verse, Berta filava e filava la lana, la lana e l'amianto del vestito del santo… The meaning is “to spin”. The translation is Bertha spun and spun wool, wool and asbestos of the saint’s dress…. She could be a character of a folk tale (like in the origin story of this saying) but definitely she isn’t. Have you ever heard of a saint dressed in asbestos in a folk tale? In the second verse, E Berta filava e filava con Mario, e filava con Gino. New verse, new meaning. “Filare con qualcuno” means “to flirt with someone”. Translation: Bertha flirted, flirted with Mario and flirted with Gino. In the third verse, E Berta filava, filava dritto, e filava di lato. The meaning is “to go straight, to behave properly”. Translation: Bertha went straight, and went sideways or Bertha behaved properly and misbehaved. In Italian we can say “filare a dritto/ filare dritto” or also “rigare dritto”. In another point of the song, Berta filava il bambino cullava cullava. Here’s another connotation: “to pay attention to”. Translation: Bertha paid great attention to the baby, cradled and cradled. It is often used in negative sentences: Gli ho chiesto di aiutarmi ma non mi ha filato proprio ("I asked him to help me, but he didn’t consider me"). Filare a cento all’ora: run a hundred miles an hour. Fila via! Vattene! : get out of here! In Italy, you can find a Cafè on almost every street corner. But pay attention: its italian name is “bar”. This is a place where Italians go every time they need an energizing break. Here you can find people have breakfast in the early morning or simply have a coffee all day long. Italian coffee is quite different from the one you can find in the rest of the world, and so are Italian habits about it. For example, the single word “caffè” means only a kind of coffee: espresso! Served in a very hot little ceramic cup, il caffè is short and very strong. If you want something different you have to specify it. 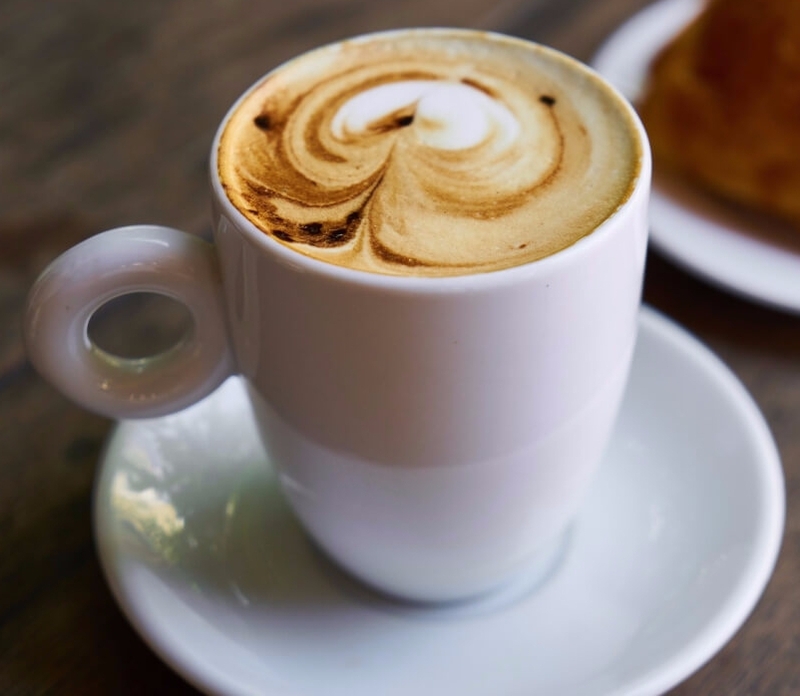 You can choose among: caffè macchiato, an espresso with a dash of foamed milk, or a cappuccino, an hot drink prepared with espresso, milk, milk foam and a dusting of cocoa powder. It’s very similar to macchiato but bigger. Italians drinks cappuccino only for breakfast and in the early morning, never after lunch! Furthermore, if you prefer a drink less strong than espresso you can have un decaffeinato, an espresso without caffeine, or un ginseng, a very popular coffee that is sweeter and with less caffeine than a common espresso. You can also have un caffè corretto, espresso with a shot of sambuca or brandy. If you are in Naples, I recommend you try caffè nocciolato, espresso with a teaspoon of handmade hazelnut cream. During the summer, you have other alternatives to face the hot weather. For example, la crema di caffè, similar to a coffee ice-cream, or caffè freddo, cold sweet espresso, or una granità al caffè, a coffee snow cone usually served with handmade milk cream and a brioche. Remember: Sicily is the best place where you can taste granita! For breakfast, usually Italians have cappuccino e cornetto. Un cornetto is a croissant with chocolate, marmelade or cream inside. Bars also sell other puff pastries as trecce, saccottini or girelle. You can choose the one you prefer. As an alternative you can look for a cake or a tart or a brioche. In Naples you can eat graffa, a donut without frosting but only dusted with sugar. Italian breakfast is totally sweet. You can also have a juice but you never find eggs or bacon served in a bar for breakfast. A lot of hotel serve a kind of “colazione continentale” with all these things but it is something you can find only in hotel. Do you know what “un caffè sospeso” is? The idea was born in Naples. It is thus basically a way to anonymously offer a coffee to someone who cannot afford to pay for their own. When you go inside a cafè, you can pay a coffe for you and a suspended coffee for a needy stranger. Thanks to social networks, a lot of cafès around the world have signed up to the goodwill initiative. In this video, Denise Lawson explains why she wanted to introduce this custom in her library in UK. The interview is in Italian but you can download the transcript here. Fast-paced is an adjective that doesn’t fit the Southern Italian way of life. We have many engagements everyday but, time management is a bit different from the rest of Europe and even from Northern Italy. How? A slow life is a cliché for many reasons, but first of all, no matter if you are in a hurry, you have to say Hallo! Italian people always greet each other: both strangers that friends. In the first case, you can simply say "Buongiorno" or "Buonasera", make a smile or a gesture. And Italians, you know, teach the world how to talk with hands. In the second case, it's getting a bit more complicated depending on where happened the encounter: if you meet someone in a public place or during a walk, it is expected shaking hands or kissing cheeks. Typically, this is a wonderful occasion for having a little chat. If you are in a cafè, probably you will have a cup of coffee offered but there are also bad habits due to the importance of greetings. In Southern Italy, you can see people, completely heedless of the traffic, stop their car to say Hallo. The reason is that greetings aren’t only formality but they are an easy way to establish and reinforce social relationships. They show other people that you are truly interested in how their life is going and that you want to share your time and your life. In Southern Italy nobody is an island. Greetings don’t waste your time but do it better. You can choose from a variety of Italian greetings.The most famous is Ciao. Nowadays this word is friendly and informal but its origins are quite different: it descends from the venetian word “schiao” that means “slave”. It was a formal greeting with the meaning of “at your disposal”, “I’m your slave”. Today this word means something less ceremonious. Usually we say “ciao” to relatives and friends both when we arrive and when we leave. Salve, buongiorno e buonasera are more formal. We only use them with strangers or acquaintances to start a conversation. You can also hear people say buongiorno to friends and relatives especially in the early morning: in this case it means "A good awakening" or "Have a good day" and loses its formal characteristic.To say goodbye, we use arrivederci. Without formal or informal connotations is buonanotte. People say it before going to sleep. Another way to say goodnight is sogni d’oro, that means "Have sweet dreams". Do you know what are the most common Italian greetings? Click here if you want to learn or repeat them. Last week, I've taken the time to write my manifesto. I started jotting down ideas about slow travel and multiculturalism but there was a quotation that I've needed to consider, even because it's a verse of a song that I've got stuck in my head. Let's go, let's go at the same party/With music made by different people/From Naples that invents melody/To drums of Algeria. E nisciune è ppirate, e nisciune è emigrante, simme tutte navigante (Nobody is pirate, nobody is emigrant, we are all sailors) is the refrain of Eugenio Bennato's Che il Mediterraneo sia. Who speaks a little Italian doesn't understand this sentence. It's because it isn't Italian but Neapolitan. The song text mixes Italian, Arabic, French, Neapolitan language indeed and sounds from different parts of the Mediterranean sea. It's overwhelming. I love it. The deep sense of this song is a spirit of brotherhood among population living in coastal areas of Mediterranean sea. I find it currently relevant. Nowadays Southern Italy lives a real immigration crisis. Thousands people from many nations are coming over here from Libya. It's what Italians call "una patata bollente", a great problem, for our Government, torn between welcoming migrants or closing borders. In any case, this song looks at Southern Italy history, characterized by meetings of different people and different cultures. This is the reason of our richness in folklore, cooking and arts. We have ever felt contrasting emotions in relation to invasions. Ruins of hundreds of towers and fortifications are disseminated in Sicily and Calabria. There are a lot of myths in our popular culture that tell about the love of a local woman and a saracen: in each town we have The Giants, two figure represented this love that are brought in procession and dance to the drummers beat. These contrasting emotions are very important to understand the rhytm and soul of Southern Italy and "that wave that never stops" described by Bennato. In conclusion, quoting this song, I want to highlight a different point of view over multiculturalism and all the world around us. We can learn more considering each person nor better nor worse than us. We are all travellers, all sailors: nor pirate nor emigrant. Andare, andare, simme tutt'eguale/affacciati alle sponde dello stesso mare. Let's go, let's go, we are all the same,/overlooking the banks of the same sea. This blog won’t be only a travel blog specialized on Southern Italy. It won’t be just a language learning blog. But it will be all of these things. It will be also a food blog with a lot of regional Italian recipes. It will talk about traditions, popular dance and folklore. The main theme of my posts will be Southern Italy and its complicated and fascinating culture. I’m writing The Italian Midday blog to empower Southern Italy to show its great beauty, to convince people, culture of South is worthy to be known. So if you are interested in reading attractive information about Naples or Calabria, or you want to know something more about Sicilian food or Salentinian “Pizzica” and more, you are in the right place. Moreover, Italian language occupies a special place to offer you a basic travel kit. My name is Emanuela, but my family and my friends call me Emi (pronounced like Amy). I'm a journalist and an Italian teacher for foreigners based in Palmi, a little town in Calabria, at the toe of the boot. I’ve got a very simple life philosophy. I’ve a keen interest in multiculturalism and I find learning otherlanguage very important. Quoting Simon Fairbairn & Erin McNeaney: “The best way to dig deeper into a culture and get to know its people is by learning the language”. I’m a fan of slow travel and I believe that people can really understand Southern Way of Life only with a very slow journey but if you can’t wait I offer you my tried-and-true way to enjoy it. If you want to know something more about me read my manifesto or click here. In conclusion, I think we should make a deal. I'll give you a lot of information about Italy using English but I'll ask you not to be too meticulous. If you find some mistakes, please tell me. All things considered, English is my second language and I want to learn!